Welcome to our website! 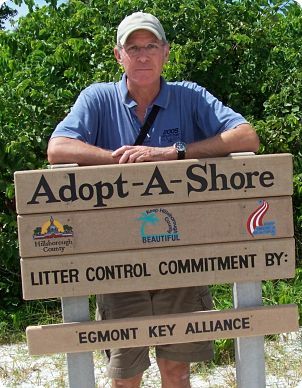 Egmont Key has something for everyone to enjoy. If you like historic structures we have plenty. There are numerous gun batteries and a Guardhouse from the days of Fort Dade and the Spanish American War era. If your interest is in the natural aspects of the island, we have a wide variety of plants, nesting sea turtles, gopher tortoises, sea birds, migratory birds and dolphins. If you’re a lighthouse enthusiast, we have one that was built in 1858 which we want to restore to its original appearance. Finally if you are a diver or snorkeler we have the USS Narcissus which is in the process of being established as underwater archaeological preserve to be followed by the gun batteries off shore to the south. I invite you to explore the website and I hope you decide to join us on this journey!